ToTs have been facilitated by FF in 4 Districts of Bihar, viz. Patna, Munger, Gaya and Purnia in the month of October and November 2017 (Patna [12-16 Oct, 17], Purnia [14 – 18 Nov, 17], Munger [20 – 24 Nov, 17], Gaya [26 – 30 Nov, 2017]). The participants have been trained on the CAS approach and methodology so as to enable them as ‘Missionary of Sanitation’ to work towards scaling-up the approach in the entire focus area for ODF creation. 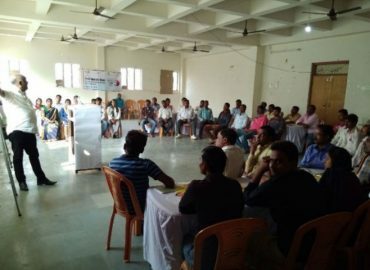 These trainings were organize d by Lohiya Swachh Bihar Abhiyan, Govt. of Bihar.